Need to restock on baby supplies? 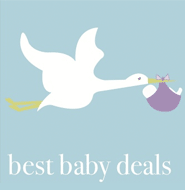 Here is a list of the best deals on all things baby at all of the biggest stores. If you see something you really need, stock up when its at a low price. Publix – $2 off Huggies Diapers, Goodnites or PullUps, 10-156 ct.
Publix – $2 off Pampers Diapers, 20-140 ct.